Buy 5 and the 6th goes free! Call us to get this special. Check the recommended links tab to see discounts offered by our partner hotels. Enjoy exhilarating class III rapids and amazing scenery in this remote granite canyon running right through Browns Canyon National Monument. Our trips end on private property, which means you’ll beat the crowds and get two extra rapids that other rafting companies don’t offer. More miles, more smiles! Smaller waves and splashes keep it cool and fun, but without the stress. The Salida Family Float trip is a fantastic way to spend a summer day on the Arkansas River! These trips are for rafters that want to step it up to more advanced whitewater. Try the Numbers for continuous, action packed rapids or check out the Royal Gorge for the “Big Water” feel and once in a lifetime scenery. 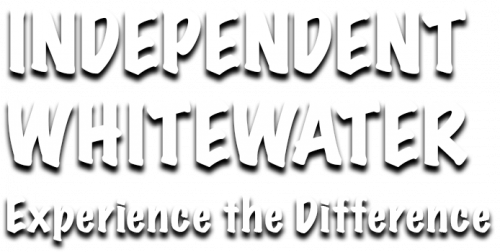 Independent Whitewater is Salida’s local rafting connection on the Arkansas River. Whether it’s scenic family floats, advanced whitewater, or the longest half-day trip through Browns Canyon National Monument, we have a trip to fit your needs. Family-owned Independent Whitewater has been in business in Salida for 35 years, and has a strong dedication to safety and good old-fashioned American fun. Come spend the day with Wiley and Mike, Independent Whitewater’s owners, along with their highly trained and professional staff. More miles, more smiles! You can enjoy lunch or dinner at The Drift In Riverside Bar and Grill before or after your trip. You can order a delicious lunch when you book your trip or you can order off the menu when you get there. Starting Memorial Day Weekend we’ll be open daily for open air dining right on the river and, that’s right, a full service bar. You can boat up, ride your bike or drive up. Check out Mountain Waters Rafting for whitewater adventures in Durango, Colorado. For springtime whitewater rafting in Arizona, check out Salt River Rafting.